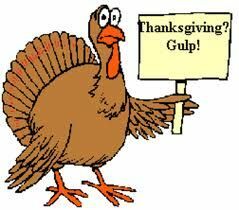 Country Foot Care > Blog > Featured > Thanksgiving’s Great- If You’re Not the Turkey! Thanksgiving’s Great- If You’re Not the Turkey! Holiday thoughts by: Dr. Steven D. Brook, D.P.M. giving thanks for the bounty we were about to enjoy. memories and the ones yet to come.